I received a comment from outforalonglunch right after I came back from Hawaii. She nominated me for the Liebster Award! This is the second time I got this award. Thanks a lot, outforalonglunch. Her blog is filled with interesting stories and pictures of food. Why don’t you take a look! Out For a Long Lunch I’d like to join the award and answer her questions. The logo is different from the last one. Let me quote the rule from her blog. “Liebster is an loving German term and that mean ‘sweetest, kindest, nicest, dearest, beloved, lovely, kind, pleasant, valued, cute, endearing, and welcome’. The Liebster Award is kind of a pay-it-forward blogger award. The rules are: If you receive one you must answer the 11 questions asked by the blogger who awarded it to you, list 11 random facts about yourself, and then come up with your own 11 questions for the 11 bloggers you choose to bestow the award upon. Do you think it a tough assignment? Take it easy. Enjoy it. 1. Why are you blogging? It’s fun to have communication with people on the net. Also blogging stimulates my life. 2. What is your favourite cuisine? There are too many to choose one. 3. If you could have one wish, what would it be? Please keep disease away from me until the end of my life. 4. You have 10 bucks. What do you do with it? I buy chocolate bars “MilkyWay”, which aren’t sold in Japan. 5. What’s your favorite childhood memory? What I played a lot in the park near my house. 6. What is your proudest moment? hmm What I gave birth to my kids. 7. If you could do it all over, what would you be doing right now in your life? I would live a mundane life as it is now. 9. Name a thing you would not eat (not because of religious reasons), even if someone pay you lots of money to eat it.What’s your favorite site/book/thing you share with people? I would eat anything if I can get big money, but it should be edible. 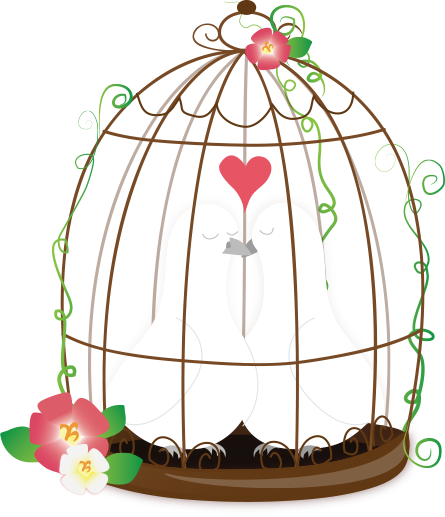 My favorite site now is “Utasuki” karaoke social networking service. I’ll write about it later. 10. If you are given the chance to launch your own perfume, with a condition that it is going to smell like food, what flavor is the main chord going to be? fruit flavor, something like oranges or pineapples. 11. If you are a contestant in a cooking pageant – is there one? – and you have to cook something that represents yourself, what would it be? That is a difficult question. Sushi? because it can be arranged as I like. Dancing and singing are the center of my life now. I take several dance lessons at a health club. My favorite dance lessons are hip hop and flamenco now. I want to snorkel in Okinawa next summer. I have my hair dyed by henna. I have many cooking books, but my cooking is the same routine. Two hamsters became my family members this month. I saw the movie “Now You See Me” last week. It was not bad, but I thought the leading role was miscast. I saw the movie “Song for Marion(UK)””Unfinished Song(USA)” last month, which was nice. I usually listen to music when I can’t sleep. Drum rolls for my nominees, please! What is the thing that you have the most fun doing? What is the thing that you feel the most boring? What is your favorite site/thing you want to share with people? Are there any movies that you recommend? Are there any music that you recommend? How long do you sleep every night? How long are you all right without internet? How do you want to be in ten years? What do you think was the year’s biggest news? What was your year’s biggest news? I hope my Nominees accept this award, and pass it on if time allows. Here is the article in my Japanese blog. The last time I nominated bloggers for The Liebster Award. Today I’d like to nominate for The Versatile Blogger Award. Nominate up to 15 fellow bloggers. Add the Versatile Blog Award logo on your blog post. My New Year’s resolution is to do muscle training. The thickness of my arms is different. Because I used to play tennis. I often borrow books and CDs from a library. While I haven’t spent a lot on clothes, I ‘ve spent a lot on trips. The next travel destination will be Hawaii. I’ve never been there. I want to live a long healthy life over 100 years. My grandmother died at the age of 106. Happy New Year! I hope you have a great year! Then, several days later, I received another award from Sharifah. She nominated me for The Versatile Blogger Award. Wow, again! I can’t believe it! Thank you so much, Sharifah. My efforts at writing in English have been well rewarded. I’ll nominate bloggers for these awards in two posts. Let’s begin with The Liebster Award. 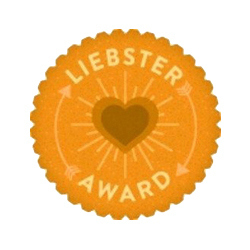 The Liebster Award is given by bloggers to other bloggers with fewer than 200 followers. The award comes with rules and requires some work. You are not allowed to nominate the blog who nominated your blog. Paste the award picture into your blog. Answer the questions posed by the blogger who awarded you. Pass the award onto 11 other blogs (while making sure that you notify the blogger that you nominated them). I think I should introduce Angrygaijin to you. He is a Canadian living in Japan. He writes his blogs in English Cameron Ohara and Japanese 外人Blog. I don’t like alcohol except wines and cocktails. I don’t like milk. But I like milk with coffee or cocoa. I don’t like raw tomato. But I like cooked tomato. I never get bored in my life. I need to drive everyday. My car is light blue. I have an allergy to pollens. I have a hard time every March. I lived in America for one year. I lived in Tokyo for ten years. I want to live somewhere abroad in the future. Have you ever been to Japan? I live in Japan. Have you been to Canada? If yes, what was your favourite place? My family has stayed in Vancouver only for several days. Stanley park. Does your family originate in the place you now live in? I grew up here. My husband is from Nagano. If you are a blogger, why are you blogging? Guard against senile dementia. Mental exercise. If you could rename yourself, what name would you change to? I’ve never thought about it even though I don’t like my name. I have a policy not to think nonsense. Only half a year has passed since I started my blog. I was occupied with writing and I couldn’t afford to read other blogs enough. I’d like to improve my English and read blogs more this year. In no particular order I nominate the following bloggers including three Japanese. Most Japanese don’t know this award. I’d like to spread it in Japan. Which celebrities do you like? When is your happy time in your life? What do you think of your blog? What do you think of my blog? My blog moved here from Blogger.